Lesson Project on Vocabulary Teaching. Can the Performance of Students in Vocabulary Tests be Improved through Different Vocabulary Introduction? 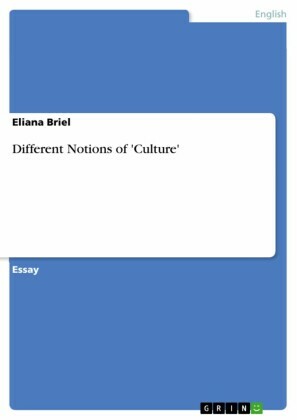 Seminar paper from the year 2015 in the subject English - Pedagogy, Didactics, Literature Studies, , language: English, abstract: Around 30 years ago, vocabulary was considered 'a neglected feature of second language research' (Nation 2012: 93). Recent research, however, indicates an 'enormous growth in research on vocabulary' (ebd.). Vocabulary is essential to communicate effectively. Nowadays, teachers often test their students' language skills in vocabulary tests, in which the students have to fill in the correct English translation for the German word. Therefore, many students learn vocabulary through direct translation and without any comprehensible context, but is this kind of learning appropriate? 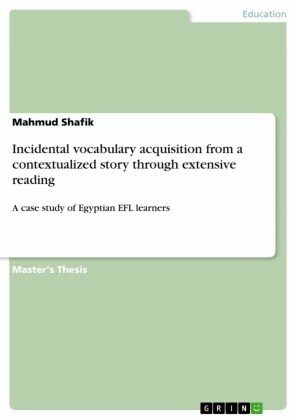 From my point of view 'vocabulary learning is a continual process of encountering new words in meaningful and comprehensible context' (Harmon et al. 2009, cit. in: Bintz 2011: 45). Even if students are performing well in vocabulary tests, it does not mean that they can apply the words in context. Therefore, my lesson project will deal with the following question: Can the performance of students in vocabulary tests be improved through different vocabulary introduction? While focusing on different vocabulary introduction, I will also consider a meaningful and comprehensible context, so that students will be able to apply the words, which they have learned, in new context. First of all, some theoretical positions and beliefs of vocabulary teaching will be depicted, especially the 'main jobs of the vocabulary teacher' (Nation 2012: 93) will be discussed. Various methods of the vocabulary introduction, e.g. creating a board game, word cards, etc. will be described. Students' performance on vocabulary will be tested by various vocabulary tests with meaningful context. Additionally, the aims as well as the survey instruments and methods of the lesson project will be given. Furthermore, anticipated challenges and possible solutions will be described at the end of Part A (Research and Theories). After having presented the theoretical background of the lesson project, this paper will have a specific look at the Action Research (Part B of the lesson project) in order to establish a connection between the theoretical context and the practical application. 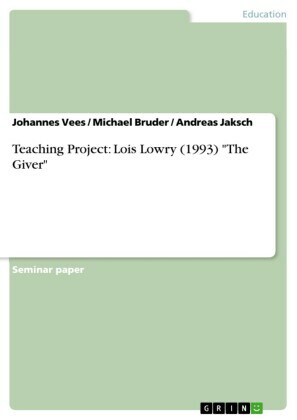 Therefore, based on the lesson project at the Geschwister-Scholl-Gesamtschule in Moers (8th grade), a survey will be conducted at the end of the lesson project, which is also described in chapter 4. The implementation of the lesson project, its results and a discussion will be given in Part B.
American Realism - what can we learn from different definitions?